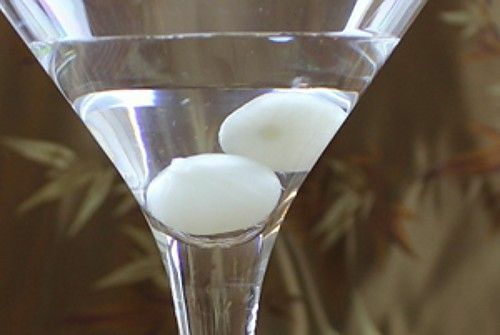 The Gibson is very nearly a martini, except it calls for a very specific garnish: two cocktail onions. You won’t be surprised to hear people usually either love or hate this drink. The onions lose some of their flavor to the herbal and citrus notes of the gin and vermouth, but a definite mild onion flavor does still come through. Enjoy a Gibson whenever you want a martini with a little something extra. Fill a mixing glass with ice and add the liquors. Stir them until chilled and strain into a cocktail glass. Drop the cocktail onions into the drink.